Content: A real external hard drive for smartphones, Goo’s flash drive lets you free up memory on your iPhone, iPod or iPad. 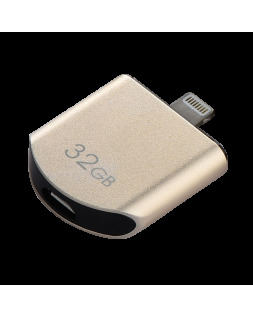 With a 32 or 64GB storage capacity, this flash drive for iPhone has a USB port and an MFI lightning cable for connecting to a computer. The Powerdrive app lets you manage your storage accessory: connection status, connected devices, data volume exchanged, and transfer speed. You can also restore data to your iPhone, iPod or iPad as required. This device accepts multiple file formats (txt, html, jpeg, png, mp4, and aac), and has an excellent write speed. Another essential mobile office device is our standard flash drive, available in a 16 or 32GB version. 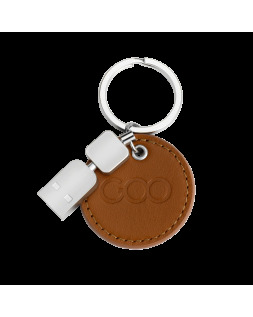 With its practical keyring clip, it makes working outside the office and storing your documents easy.